Dr. Mohamat Sabri Hassan research and publication always had been in the area of corporate reporting and governance. Specifically, he has been working on disclosure quality, value relevance study, fair value accounting, financial instruments, intellectual capital disclosure and corporate governance. 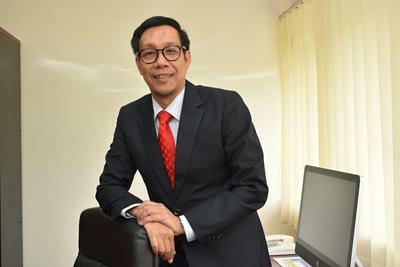 His works have been published in various journals such as Asian Academy of Management Journal of Accounting and Finance, Jurnal Pengurusan, International Journal of Economics and Management, Asian Review of Accounting, Asian Journal of Accounting and Governance and Malaysian Accounting Review. He also served as an invited reviewer for the above journals as well as international refereed journals such as Emerging Markets Finance and Trade Journal, International Journal of Accounting, Auditing and Performance Evaluation, Journal of Applied Accounting Research, Journal of Islamic Accounting and Business Research. He has supervised 28 Ph.D. and Master Theses as well as was appointed as an examiner for Ph.D. and Master Theses. Currently, he is supervising six postgraduate students. He is a Certified of Financial Accountant of Malaysian Institute of Certified Public Accountants (CFiA) and an Associate Member of Malaysian Institute of Accountants (MIA). He was a Council Member of Malaysian Institute of Accountants, Member of Accounting & Finance Association of Australia and New Zealand, and Member of International Association for Accounting Education & Research (IAAER). He served CIMA Malaysia as Research Panel for South East Asia Centre of Excellence and Judge for CIMA Global Business Challenge. He holds various administrative posts in UKM such as Deputy Dean Student, Academic, Alumni and International Affairs (2017). Prior to that, he was served as Head of Postgraduate Program (2015), Chair, School of Accounting (2011) and Program Coordinator: Diploma in Logistic Science Management (2006) and Bachelor in Business Administration Distance Learning Program (1999). Kualiti Pelaporan, Kualiti Pendedahan, Kajian Kerelevanan Nilai, Perakaunan Nilai Saksama, Instrumen Kewangan dan Tadbir Urus Korporat. Mara Ridhuan Che Abdul Rahman*, Rebwar Ahmed & Mohamat Sabri Hassan, 2016. Disclosure of Human Capital Information in Annual Reports: A Case of Malaysian Banking and Financial Institution Sector. International Journal of Business Management 1 (1):83-98. Mohamat Sabri Hassan*, Romlah Jaffar & Anwary Syuhaily Rosly. 2016. Kesan Pertukaran Pengurusan Tertinggi Ke Atas Harga Saham Syarikat Berkaitan Kerajaan Dan Syarikat Bukan Berkaitan Kerajaan Di Malaysia. Jurnal Pengurusan 47:29-41. (Scopus Index – Q3). Mohamat Sabri Hassan*, Norman Mohd Saleh, Aulia Fuad Rahman & Zaleha Abdul Shukor, 2016, Underinvestment and Value Relevance of Earnings Management. Jurnal Pengurusan 46:99-113. (Scopus Index – Q3). (Cited by 1). Sharifah Zarina Syed Ahmad, Mohamat Sabri Hassan* & Romlah Jaffar. 2016, Chief Executive Officer/Managing Director Succession and Value Relevance of Accounting Numbers. Asian Journal of Accounting and Governance. 7:25-40. Fakhroddin Mohammadrezaei*, Norman Mohd Saleh, Romlah Jaffar & Mohamat Sabri Hassan. 2016 The Effects of Audit Market Liberalisation and Auditor Type on Audit Opinions: The Iranian Experience. International Journal of Auditing (IJA) 20:87-100. (Scopus Index – Q3). Tan Mei Zi, Mohamat Sabri Hassan* & Zaini Embong. 2014. Value Relevance of Investment Properties’ Fair Value and Board Characteristics in Malaysian Real Estate Investment Trusts. Asian Journal of Accounting and Governance 5: 1-13. (Cited by 1). Eza Ellany Abdul Lateff*, Mohd Rizal Palil & Mohamat Sabri Hassan, 2014. Prestasi Kecekapan Agihan Kewangan dan Bukan Kewangan di Kalangan Institusi Zakat di Malaysia. Jurnal Ekonomi Malaysia Vol 48(2): 51-60. (Scopus Index – Q3). (Cited by 1). Kamarulbaraini Keliwon*, Zaleha Abdul Shukor, Zakiah Muhammaddun Mohamed & Mohamat Sabri Hassan, 2014, Exploring Internet Financial Reporting (IFR) Strategies of Firms in Malaysia, Malaysian Accounting Review, Vol. 13 No. 2:1-21. (ERA index). (Cited by 1). Shukriah Sa’ad* & Mohamat Sabri Hassan, 2013. The Nature and Motivation of Human Capital Reporting (HCR): A Preliminary Study. Malaysian Accounting Review. 12(2):19-46. (ERA index). Aulia Fuad Rahman, Mohamat Sabri Hassan*, Norman Mohd Saleh & Zaleha Abdul Shukor, 2013, The Role of Underinvestment on The Relationship Between Earnings Management and Information Asymmetry. Asian Academy of Management Journal of Accounting and Finance 9(2):1-23. (Scopus Index – Q4). (Cited by 2). Shukriah Saad, Mohamat Sabri Hassan, Noradiva Hamzah, & Zakiah Muhammadun Mohamed. 2016. The Role of Disclosure Motivation and Human Resource Management (HRM) Practices on Human Capital Disclosure (HCD). 8th International Management and Accounting Conference, 28-29th September 2016, Langkawi, Malaysia. Sharifah Zarina Syed Ahmad, Mohamat Sabri Hassan & Romlah Jaffar, Pertukaran Pengurusan Atasan Dan Pengurusan Perolehan, 8th International Management and Accounting Conference, 28-29th September 2016, Langkawi, Malaysia. Sabarina Mohammed Shah and Mohamat Sabri Hassan. 2016. Accountability and Its Challenges in Islamic Financial Institutions Future Discourse: Evidence from Malaysia. 8th Asia-Pacific, Interdisciplinary Research in Accounting Conference. 13-15 July 2016 RMIT University, Melbourne, Australia. Mara Ridhuan Che Abdul Rahman, Asmazatul Yusfiziati Mohd Yusof & Mohamat Sabri Hassan. 2015. Photography Images Analysis of Intellectual Capital in Corporate Annual Reports: A Descriptive Note. Airlanga Accounting International Conference. 3-4 June 2015. Hotel Bumi Surabaya. Asmazatul Yusfiziati Mohd Yusof, Mara Ridhuan Che Abdul Rahman & Mohamat Sabri Hassan. 2015. Firms Characteristics and Photography Images of Intellectual Capital in Corporate Annual Reports. Prosiding Persidangan Kebangsaan Ekonomi Malaysia ke-10 (PERKEM 10), Kekayaan Terangkum Teras Pembangunan Lestari, Melaka Bandaraya Bersejarah, 18 – 20 September 2015. Muka surat 188 – 195. Marsita Mustafa, Mohamat Sabri Hassan & Mara Ridhuan Che Abdul Rahman. 2015. Human Capital Disclosure (HCD) and Share Price. Prosiding Persidangan Kebangsaan Ekonomi Malaysia ke-10 (PERKEM 10), Kekayaan Terangkum Teras Pembangunan Lestari, Melaka Bandaraya Bersejarah, 18 – 20 September 2015. Muka surat 363-372. Sharifah Zarina Syed Ahmad, Mohamat Sabri Hassan & Romlah Jaffar. 2015. The Effect of CEO Succession on the Value Relevance of Accounting Numbers: An Early Finding. Asian Academic Accounting Association 16th Annual Conference 2015, 16-17 November 2015, Bandung Indonesia. Puan Yatim, Mohamat Sabri Hassan & Shamshubaridah Ramlee. 2015. Corporate social responsibility: What are plantation companies in Malaysia reporting? Asian Academic Accounting Association 16th Annual Conference 2015, 16-17 November 2015, Bandung Indonesia. Kamarul-Baraini Keliwon, Zaleha, Abdul Shukor, Zakiah-Muhammadun Mohammed & Mohamat Sabri Hassan. 2015. Measuring Internet Financial Reporting (IFR) Disclosure Strategy. Asian Academic Accounting Association 16th Annual Conference 2015, 16-17 November 2015, Bandung Indonesia. Sabarina Muhammad Shah and Mohamat Sabri Hassan. 2015. Redefining the Islamic Financial Institution Value Creation in Nur Ashikin Mohd Saat & Siti Manisah Ngalim Interdisciplinary Studies in Accounting and Finance Page 148-170. UPM Press. Sabarina Muhammad Shah and Mohamat Sabri Hassan. 2015. Shariah Committee, Shariah Governance in Islamic Financial Institutions in Siti Zaidah Turmin, Mohammad Noor Hisham Osman, Zulkarnain Muhamad Sori and Ahmed Razman Abdul Latiff Issues in Contemporary Accounting & Finance Page 110-125. UPM Press. Sabarina Muhammad Shah and Mohamat Sabri Hassan. 2013. Analyses of Board Roles Theories in the Context of Islamic Financial Institution in Mazlina Mustafa, Nur Ashikin Mohd Saat, Siti Zaidah Turmin and Hairul Suhaimi Nahar. Research on Accountability, Governance and Finance. Page 22-47. UPM Press. Zaleha Abdul Shukor, Sofiah Md Auzair, Mohamat Sabri Hassan, Selamat Kundari and Hamezah Md Nor. 2014. Student Centered Learning (SCL): Students’ Perception of the Accounting Program in Romlah Jaffar, Sofiah Md Auzair, Rohaida Nordin and Rohimi Shapiee. Teaching and Learning in Law and Economics: A Way Forward. Page 87-97. Pusat Pengajaran dan Teknologi Pembelajaran, UKM.